In June 2017, Martin Roll was featured in an interview in Ekonomist Magazine Turkey. Ekonomist is a weekly economy magazine that feels the pulse of the Turkish Economy every week, closely monitors all developments and remains as the circulation leader throughout its 20-year history. Ekonomist also has the highest reader loyalty in the market, attracting readership from businessmen, bureaucrats, managers, brokers and entrepreneurs. 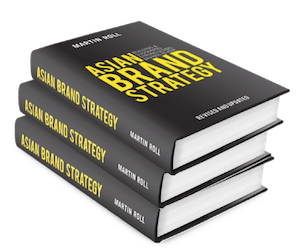 In the interview, Martin Roll shared how companies must work to have “admirable” brands to be successful and he shared recent global trends in brand management that companies need to be cognizant of. Good brand management happens only when a company’s brand vision, objectives and multiple marketing activities are closely aligned with its corporate strategy and blend together as they serve the same purpose – to drive profitability and shareholder value. What is effective global brand management? Martin Roll emphasized that it is crucial to get the strategic balance right between the brand, the corporate vision and the entire organisation. For successful execution of brand management and to build strong brand equity, leadership is also vital. The boardroom and the CEO must ensure that the brand delivers successfully and seamlessly at every customer touch point, so that the brand supports the overall strategic intentions. Brands in essence are the most important assets for modern companies seeking to deliver sustained success over time. In today’s business landscape, effective brand management practices must include a unique brand promise (the brand’s essence, identity and position) and an outstanding brand delivery (the organizational system and performance behind the promise), with functional and emotional attributes working as hygiene factors. The brand promise and the brand delivery must be consistently balanced in order to build and sustain strong brand equity. One very good example of a brand that has managed to achieve a good balance between brand promise and delivery is Singapore Airlines. The brand promise of “A Great Way to Fly” with its emphasis on service and technology excellence has served the airline very well and has been consistently communicated. The secret behind Singapore Airlines is that the CEO and the top management team are heavily involved as branding and brands are viewed as paramount to the success of the airline. The Singapore Girl is one of the most iconic brand features, and she contributes to the overall brand equity and success of the airline. Many airlines claim good service but the secret to Singapore Airlines is that they actually deliver great service across all touch points – consistently over time and effectively delivered wherever customers and stakeholders in in touch with the brand. The starting point for branding must be the boardroom, which is also serving as the most important check-point during the project. The CEO must be personally involved in the brand strategy work, and he/she must be passionate and fully buy into the idea of branding. To ensure success despite the daily and stressful routine with many duties at the same time, the CEO must be backed by a strong brand management team of senior contributors, who can facilitate a continuous development and integration of the new strategy. All companies have their own specific requirements, business values and a unique way of doing things. Therefore, even the best and most comprehensive branding models have to be tailored to these needs and requirements. Often, only a few but important adjustments are needed to align them with other similar business models and strategies in the company to create a simplified toolbox. Branding is the face of a business strategy, so these two areas must go hand in hand. Who knows more about a company than its customers, employees and main stakeholders? Many companies overlook these simple and easily accessible sources of valuable information for its branding strategy. A simple rule is to use 5% of the marketing budget on research and at least obtain a fair picture of the current business landscape, including the current brand image among stakeholders and customers, brand positioning and also any critical paths ahead. The branding strategy is an excellent channel for advancing the corporate vision throughout the company. It allows the management to involve, educate and align everyone around the corporate objectives, values and future pathway. It provides a guiding star and leads everyone in the same direction. The internal efforts are at least 50% of making a branding strategy successful. Modern technology should play a part of a successful branding strategy. Technology helps to gain effectiveness and improve the competitive edge of the corporation. A well-designed and fully updated Intranet is a must in today’s working environment which has become increasingly virtual with employees working from home, other locations and traveling across the globe. An Extranet can facilitate a much more seem less integration with strategic partners, suppliers and customers, avoid time consuming paper work and manual handling of many issues. A company website is not only a must, but rather a crucial channel for any modern corporation regardless of size. If the corporation is not accessible on the Internet, it does not exist! The most important asset in a corporation is its people. They interact daily with colleagues, customers, suppliers, competitors and industry experts. But they also interact with an impressive number of people totally disconnected to the corporation in the form of family members, friends, former colleagues and many others. Hence, they serve as the corporations most important brand ambassadors as word-of-mouth can be extremely valuable and have great impact on the overall image of the brand. The most effective way to turn employees into brand ambassadors is to train everyone adequately in the brand strategy (vision, values and personality etc.) and making sure they fully understand and believe what exactly the corporation wants to be in the minds of its customers and stakeholders. Nike is a brand which is known for their efforts into educating and empowering everyone employed by the company to be strong brand ambassadors. The brand is the face of the business strategy and promises what all stakeholders should expect from the corporation. Therefore, the delivery of the right products and services should be carefully scrutinized and evaluated on performance. Think of the cradle-to-grave concept of a lifelong customer and the value he/she will provide in such a time span. Make sure he/she is handled with outstanding care according to internal specifications and external expectations. The moment of truth is when the brand promise is delivered meeting or exceeding customers’ expectations. Singapore Airlines runs a very rigid, detailed and in-depth description of any customer touch point with the corporation, and several resources are spent on making sure it actually does happen every time to every customer. All employees regardless of title and rank from Singapore Airlines spend a not insignificant number of workdays being trained every year. Companies should try to bring the brand to life through a range of well-planned, well-executed marketing activities, and ensure the overall messages are consistent, clear and relevant to the target audience. It is crucial for various messages to be concise and easy to comprehend. Instead of trying to communicate every single point from the branding strategy, a selective approach will be much more impactful using the same resources. A brand must be accountable. How much value does it provide to the corporation and how instrumental is the brand in securing competitiveness? These are some of the questions which need to be answered and which the CEO will automatically seek as part of his/her commitment to run the strategy successfully. The brand equity consists of various individually tailor-made key performance indicators (including the financial brand value) and needs to be tracked regularly. A brand score card can help facilitating an overview of the brand equity and the progression as the strategy is implemented. The business landscape is changing almost every day in every industry. Hence the corporation needs to evaluate and possibly adjust the branding strategy on a regular basis. Obviously, a brand should stay relevant, differentiated and consistent throughout time, so it is a crucial balance. The basic parts of the branding strategy like vision, identity, personality and values are not to be changed often as they are the basic components. The changes are rather small and involve the thousands of daily actions and interpersonal behaviors, which the corporations employ as part of the brand marketing efforts. But make sure complacency does not take root in the organization and affects the goal setting. The strong brands are the ones which are driven forward by owners whom never get tired of raising their own bars. They become their own change agents – and brand champions for great brands. Martin Roll believes that the world is in flux at this point of time, which is an opportunity for companies to step up and build strong global brands. Amidst the many things happening right now and in the coming years on a global scale, there are untapped opportunities for business leaders who decide to move ahead and build global presence. The world is currently seeing a huge rise and growth of emerging economies. In the next 5 to 10 years, there will be a huge shift in economic power from the developed and saturated Western economies to the emerging and vastly untapped economies of Asia, South East Asia and Eastern Europe. Martin Roll also envisions that we will see the rise of Middle Eastern and African companies in the coming decade when more business leaders and management teams will take bold decisions and step up to unleash the potential of their nations and businesses. In addition, there is an emergence of a new middle class in the emerging economies with sizes bigger than the entire population of the United States. The future winners will be those brands and businesses whom embrace these new developments with an open, agile and dynamic mindset, yet with a critical view about what works for them. Technology developments are great enablers for many things but they are rarely the answers to everything in business. The most common mistake that brand managers make is to have too much of a short-term focus on brand return-on-investment (ROI). Brand managers need to understand and appreciate that branding is a journey and that it is common for a brand to take a while before showing financial results. In Asia where Martin Roll consults regularly for clients across markets and industries, it is common for business owners to focus on cutting prices on homogenous products to attract customers. However, this erodes margins and does not create more value for consumers. It is also common for business owners to see branding as marketing or advertising cost and delegate branding to mid- or low-level executives. A large emphasis is placed on tactical marketing activities like advertising and promotions. Fortunately, branding has started to gain recognition over the past 5 years as a boardroom discipline that contributes to the top and bottom line of the company and enhances shareholder value. That being said, not many companies actually have put in place systems that would enable them to extract the maximum out of their brand. The most important reason for this is the lack of knowledge and support for the company’s top management that includes the corporate board and the CEO. Therefore, it is essential that branding needs to have strong support from the CEO and corporate management. The starting point for branding must be the board room, which is also serving as the most important check-point during the project. The CEO must be personally involved in the brand strategy work, and he/she must be passionate and fully buy into the idea of branding. To ensure success despite the daily and stressful routine with many duties at the same time, the CEO must be backed by a strong brand management team of senior contributors, who can facilitate a continuous development and integration of the new strategy. As Peter Drucker said, the only two functions of any organization are innovation and marketing. Irrespective how innovative a company is, how committed the employees are, and competent the top management is, unless the company connects with the customer, success will be elusive. The top management should constantly evaluate their strategic decision in the context of customer feedback – what do the customers’ value and how can the customers help the company in co-creating value. There is a distinct difference between companies, products and services which customers might be aware of, and real brands with strong brand equity. Therefore, strong brands are more than trademarks and trade names (logos that identifies the products and services). Before delving deep into an analysis of branding, it is important to get the branding terminology right. Branding is a widely misused and misunderstood term which is almost clustered onto everything related just vaguely to strategy, marketing and communication. Branding is an investment that must be perceived as such and is required to deliver ROI and shareholder value like any other feasible business activity. It must appear on the left side of the balance sheet as an intangible asset and its value is subject to change upwards and potentially downwards. It is indeed important for companies to measure brand performance as a brand must be accountable in terms of how much value it provides to the corporation and how instrument it is in securing competitiveness. Brand equity consists of various individually tailor-made key performance indicators (including the financial brand value) and needs to be tracked regularly. A brand scorecard can help facilitating an overview of the brand equity and the progression as the strategy is implemented. This includes financial analysis (identifying and predicting revenues from intangibles related to individual brands or the entire brand portfolio), brand contribution (assessing how much the brand contributes to demand), and brand value (calculating the net present value of the expected earnings which reflects the risk of future earnings). With a population of 79 million, Turkey has more than 1% of the world living in it. The nation has cultivated many well-known brands that offer high quality products and customer experiences. However, there has not been any Turkish brand that has truly gone global and which have redefined global standards. Turkish companies need to understand what global consumers want and cater to their tastes and preferences. A large majority of consumers worldwide want to be part of the global village and believe in Western ideals of freedom and competition, and they express these through their product choices. At the same time, Turkish companies should try their best to embrace and stick to their roots by focusing on their good reputation for manufacturing of high-street fashion and denim, vehicles, gems and precious metals. More importantly, they need to make sure that their product or service is of top quality because when a product or service is truly great, no one really cares where it is from. Martin Roll always seeks to inspire his clients to be the “most admired” – to be in a class by themselves, rather than necessarily being the largest. It involves a number of parameters that are rarely put into use because of the usual short-term, one-sided focus on increased volume. This is where Martin Roll typically challenges his clients. One of his key questions are: What is your purpose? Martin Roll challenges his clients across the globe to think about what they deeply believe they are best at, what values they stand for and what they actually provide to their customers. Overall and more broadly, what they provide to the world around them? A successful company needs to define its purpose. If it is driven by a strong purpose and is able to meet expectations all the time, then it has a strong chance to become an “admired” company. Nonetheless, this is not a position that comes easily. It requires full attention and hard work over a long period of time and attention to every detail. LEGO’s turnaround is a good example. Many companies from emerging economies have traditionally focused on asset-intensive industries. But it has been demonstrated that the most profitable emerging market companies focus on intangibles such as human capital, exploiting network effects, and creating synergies based on brands or reputation, rather than investing in tangible assets. Boardrooms have traditionally been the playing fields for technology and finance professionals, and most directors either have technology, operations or finance backgrounds. Going ahead, these capabilities alone will not be sufficient for sustained growth and enhanced shareholder value. With branding taking the center stage, it is extremely crucial that the boardroom represents brand capabilities and experiences to ensure that brand guardianship is practiced at the highest level. Firstly, education and training of the boardroom directors can bring them up to a common understanding of the discipline, its opportunities and challenges. Secondly, the company can elevate people with strong marketing and branding backgrounds to the board. Brands can indeed challenge the global players, but it requires a new mindset, resources and capabilities. Based on his many years of global consulting, Martin Roll shared his findings on Fortune 100 companies, Asian firms and many family owned businesses. The key insight to building and sustaining successful businesses is when companies have defined their purpose. The purpose is the overall strategic direction of the business and defines where owners and management want the business to go. Martin Roll runs many workshops and advisory projects where he plays a central role in defining the purpose together with business owners, CEOs and management teams – acting as the facilitator and catalyst to the teams and as a mentor to the CEO.